In this article we’ll be taking a look at the mini SSD performance comparison between the various types of mini SSDs available on the market. 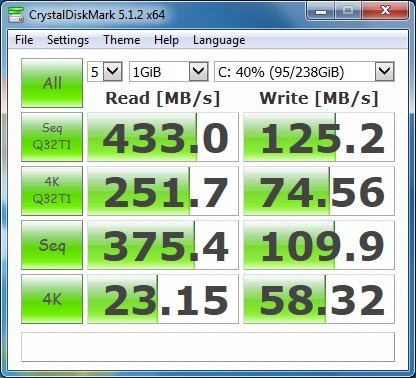 Most mini SSDs can be found on newer laptops, ultrabooks and slimmer notebook models. In the past, laptop manufacturers mostly used 2.5″ hard drives (mechanical spinning disk platters) featuring the standard SATA interface. But as technology progressed, along with memory prices declining, it was only a matter of time before they the all started to use SSDs instead. 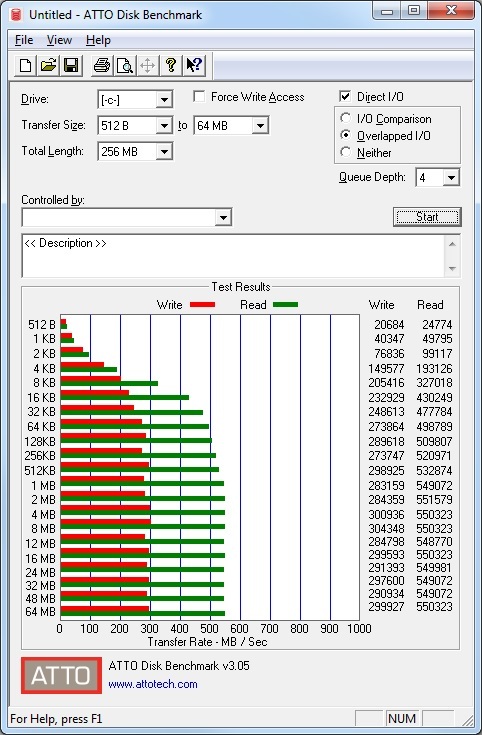 The performance benefits of having a SSD in your laptop is without question. 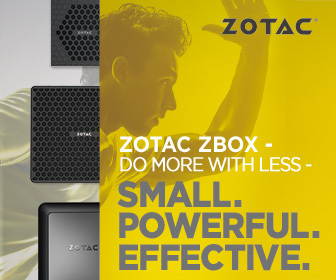 It’s definitely a lot faster and more responsive than having a standard 2.5″ mechanical hard drive. However, there are several form factors that SSDs currently use. There’s mSATA, M.2 and PCI Express mini … all of which use different interfaces and offer different levels of performance. So in this article we’ll be breaking down the tech terms and taking a look at the performance comparison between these different interfaces, and hopefully this will give you a better picture and understanding. Ok, before we go any further, and for all those who don’t know what SSDs are … here’s a little blurb taken from Wikipedia. We’ve also included some information on the various types of form factors currently being used by manufacturers. M.2, formerly known as the Next Generation Form Factor (NGFF), is a specification for computer expansion cards and associated connectors. It replaces the mSATA standard, which uses the PCI Express Mini Card physical layout. Having a smaller and more flexible physical specification, together with more advanced features, the M.2 is more suitable for solid-state storage applications in general, especially when used in small devices like ultrabooks or tablets. The M.2 standard is designed as a revision and improvement to the mSATA standard. PCI Express Mini Card (also known as Mini PCI Express, Mini PCIe, Mini PCI-E, mPCIe, and PEM), based on PCI Express, is a replacement for the Mini PCI form factor. It is developed by the PCI-SIG. The host device supports both PCI Express and USB 2.0 connectivity, and each card may use either standard. Most laptop computers built after 2005 use PCI Express for expansion cards; however, as of 2015, many vendors are moving toward using the newer M.2 form factor for this purpose. Due to different dimensions, PCI Express Mini Cards are not physically compatible with standard full-size PCI Express slots; however, passive adapters exist that allow them to be used in full-size slots. What is mSATA, M.2 and PCI Express Mini? Well, they are in fact NOT computer interfaces but rather form factors (the size and connector type). mSATA and its replacement M.2, generally uses the SATA II/III interfaces, while the PCI Express Mini is kind on its own and usually uses M.2 form factor. See below for a summary of the different types of interfaces. PCI Express interface (3rd Gen). PCI Express 3.0’s 8 GT/s bit rate effectively delivers 985 MB/s per lane. Ok, now that we’re clear on some of the tech terms … let’s get down to the nitty gritty. 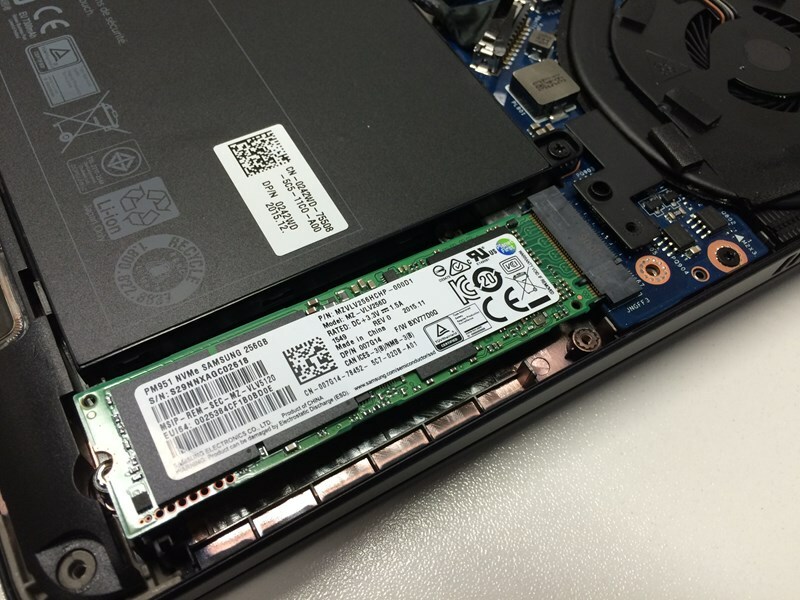 Which form factor offer the fastest SSD performance? 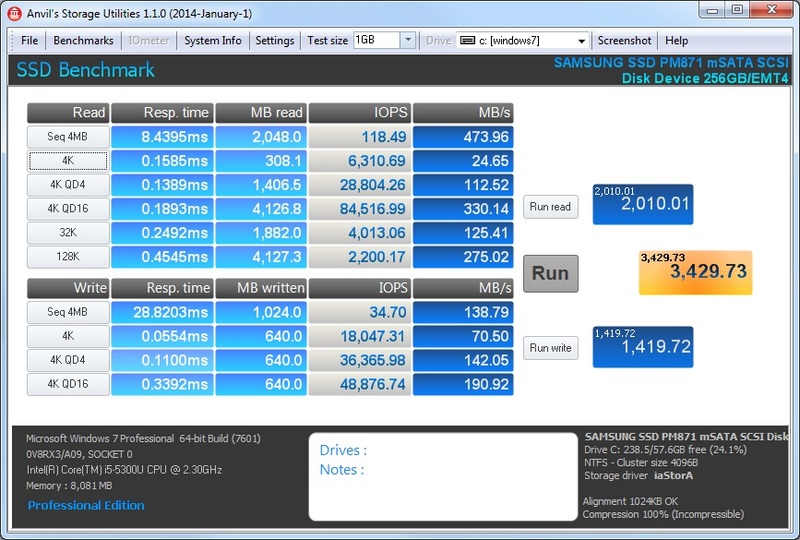 In our tests, we’ll be using disk benchmarking software such as ATTO Disk Benchmark, CrystalMark and Anvil Storage Utility. We’ve prepared three laptops for testing, all of which have one thing in common … they all use 256GB SSDs with different interfaces and form factors. Let’s see which one comes out on top !! OK, now I know some of you maybe thinking that the test laptops have different processors and speeds, and this could skew the results. But what we’re testing is purely disk performance only. 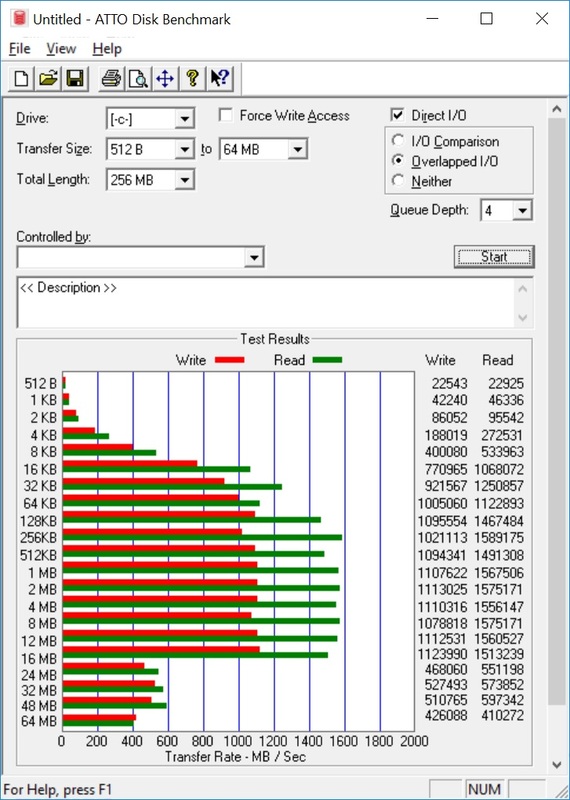 As expected the SSD using the SATA-II interface is the slowest of the lot. 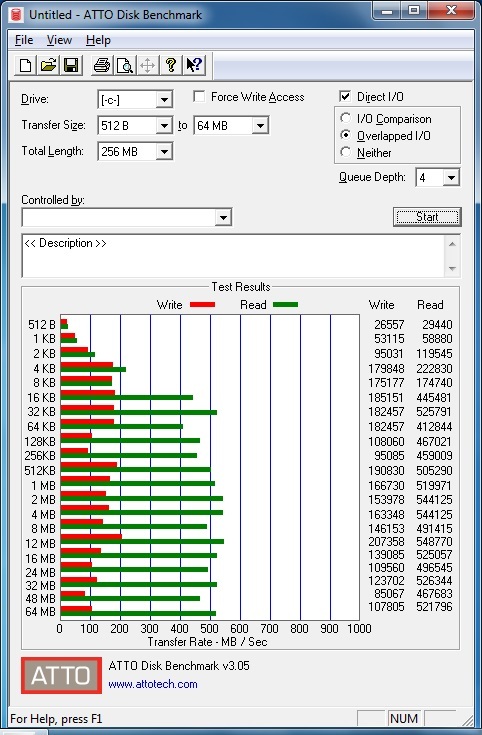 While the SSD with the PCI Express (3rd Gen) interface produced the fastest results. 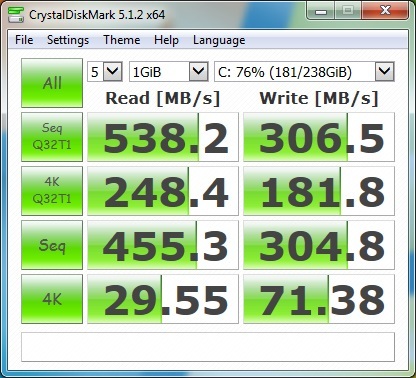 The SATA-III based SSD came in a close second. The thing to remember is … not to be fooled by the new M.2 form factor being advertised as the latest and greatest. It isn’t and it doesn’t give you better performance. The M.2 is just a form factor (new size and connector type). If you want performance, just make sure you get the SSD with the faster interface … and that would be either SATA-III or PCI Express (3rd Gen). 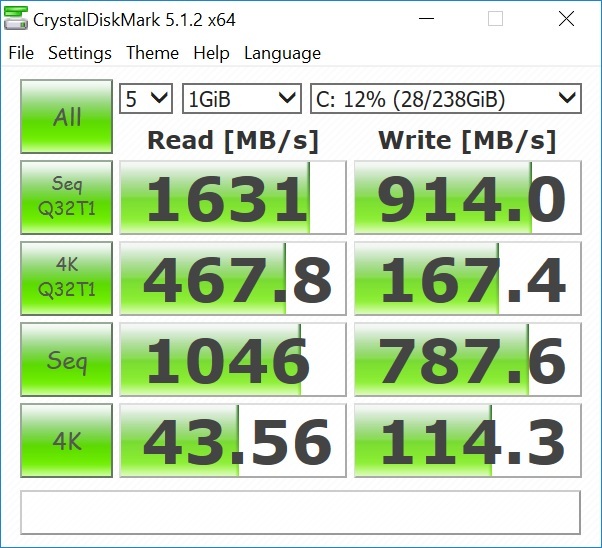 Although I haven’t come across a SATA-III based M.2 SSD yet … I’m sure we’ll be seeing a lot of more over the coming months as mSATA slowly phases out over time. mSATA, M.2 and PCI Express Mini (M.2) are form factors (the size and connector type) and has NO impact on performance. SATA-I, SATA-II, SATA-III and PCI Express (3rd Gen) are interfaces and this will determine the performance of your SSD.